The University of Plymouth understands that LGBT students may face different challenges during their time at university, therefore the following information has been provided regarding welfare support and information. The University seeks to ensure that all staff and students are treated with dignity and fairness. The University's Equality & Diversity Policy and Harassment & Bullying Policy make it clear that discrimination or harassment on the grounds of sexual orientation is unacceptable. All University staff are required to complete a mandatory equality and diversity training package to ensure that they are fully informed of the Equality Act 2010. Students have the opportunity to join an LGBT Society, which aims to have fun whilst also raising and addressing important issues. An LGBT Campaigns Chair is elected by members of the Students' Union and has a seat in the Student Parliament. (Further details of student societies, social events and campaigns are available on the Students' Union website). The University Careers Service offers specific advice for LGBT students and promotes Stonewall's 'Starting Out' guide to recruitment. Find out more about our LGBT equality work as well as ways to get involved in staff and student forums, groups and events. The University has a confidential counseling service that is available to all students. Counselors have attended specialist training on LGBT issues. When required, personal counselors seek to help students to focus clearly on their problems and to work towards an outcome which the individual student feels to be appropriate. The University also has a network of trained, voluntary Harassment Advisors for staff and students. This is a confidential service and staff and students are encouraged to approach an advisor to discuss any situation which they feel may be harassment or bullying. It will be entirely up to the person reporting the alleged harassment or bullying to an Advisor whether any further action is taken in almost every circumstance. The University takes a very serious view on homophobic hate incidents. Victims or witnesses of homophobic hate incidents or crime, either on or off campus, should report it to the University via the online report form, which goes to the Equality & Diversity (E&D) Unit. This is confidential and can be done anonymously. It is important that incidents of homophobia are reported to provide a clear picture of the extent of such discrimination around the city and within the University, so that it may be tackled from an informed point of view. The E&D Unit can be contacted for signposting towards support mechanisms. 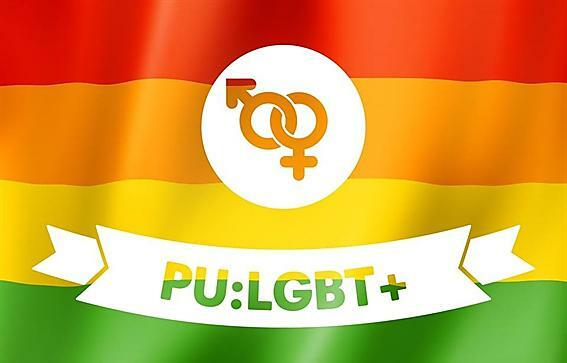 In the local area, Plymouth Pride Forum aims to be a collective voice for the LGBT communities and to provide environments where LGBT individuals can meet for support and social activities.